Look at Greece. When you let public employees and public employees’ unions get away with everything, the country collapses. If we listen to everyone who says that (funding) is necessary, we’ll never be able to rebuild our finances. (Hashimoto Toru) is forcing on us a philosophy of the supremacy of competition using the politics of fear that are dictatorial. I think we should raise the banner of counterattack against Japan Restoration in all sectors…This is a problem not only for Osaka, but Japanese democracy….The other parties are pathetic. They want the votes of Japan Restoration supporters, so the Democratic Party, the Liberal-Democratic Party, New Komeito, and Your Party are all casting come-hither eyes. It’s suicidal. Watching Mr. Hashimoto on television, I saw the limit of the Japan Restoration Party. Both the LDP and the DPJ sent representatives to argue their policies on the program, but the Japan Restoration representative gave only his personal views. This is still the Hashimoto Store. I evaluate Mr. Hashimoto (Toru, Osaka mayor) very highly. There aren’t any other politicians capable of debating positions and policy late at night using Twitter, and there won’t be any in the future, either. They say Reagan was the Great Communicator. This is the most important quality of a politician. Analyzing the Japan Restoration Party is fascinating. In order to achieve their Heisei Restoration (reforms), they think they should devote themselves to seizing power while ignoring policy. That is what the unaffiliated voters who are giving strength to Japan Restoration want. That is frightening. YES！Change is created when people gather and debate the issues. There wouldn’t be any point to debate if change didn’t result. Before you accuse me of changing my tune, judge us on our final policies. 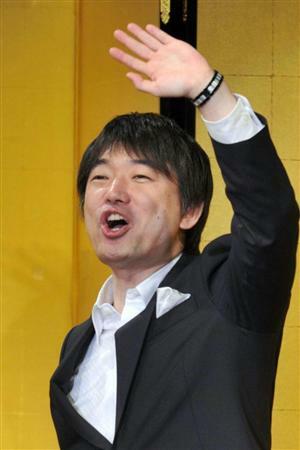 – Osaka Mayor Hashimoto Toru, responding to criticism that he’s been flip-flopping on the issues. The most important thing for economic growth is strengthening competition. Enhanced competition policies. All people tend to want to take it easy. They don’t want to compete. The strength of people such as those is put in the service of politics through elections, and government then uses regulations to create vested interests. Japan today is caught in a straitjacket of regulation and vested interests.